New Delhi: Prime Minister Narendra Modi will inaugurate the former President, late Dr. APJ Abdul Kalam’s memorial at Pei Karumbu, Rameswaram, on Thursday. The Prime Minister will hoist the National flag at the memorial, designed and built by Defense Research and Development Organization (DRDO). Modi will also unveil a statue of Dr. Abdul Kalam, and offer floral tributes which will be followed by an interaction with the family members of Dr. Kalam. Later, the PM would flag off ‘Kalam Sandesh Vahini’, an exhibition bus which would travel across various States of the country and reach Rashtrapati Bhavan on October 15th which marks the birth anniversary of the former President. Prime Minister Modi will then proceed to Mandapam for the public meeting. He will distribute sanction letters to the beneficiaries of long liner trawlers under Blue Revolution scheme. He will also flag off a new express train from Ayodhya to Rameswaram (via video conference). PM will release a synopsis of the Green Rameswaram Project. He will unveil a plaque to mark the dedication to the nation of the 9.5 km Link Road on NH 87, which runs between Mukundarayar Chathiram and Arichalmunai. PM Modi will conclude the visit by addressing a public meeting. 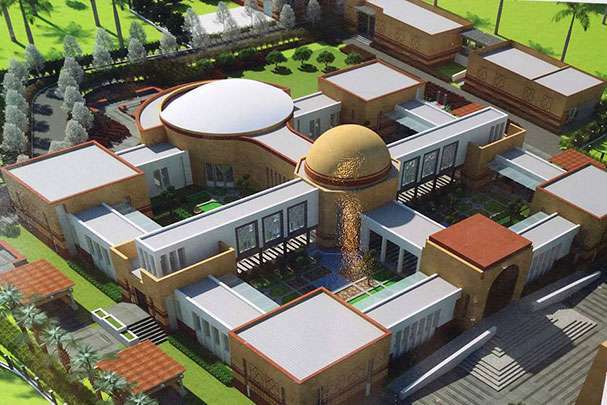 The memorial has been constructed by DRDO in exactly one year. Architecturally, it has taken inspiration from several national landmarks. The front entrance looks similar to India Gate, while the two domes are on the lines of Rahstrapati Bhavan. 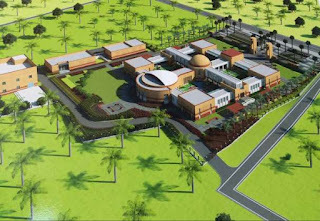 The Memorial has four main halls each depicting the life and times of Dr Kalam. Hall-1 focuses on his childhood and educational phase, Hall-2 the Presidential days, including address to Parliament and UN Council, Hall-3 his ISRO and DRDO days and Hall-4 his post-Presidential days, till he breathed his last at Shillong. There is a separate section to exhibit some of the personnel belongings of Dr Kalam, including his famous Rudra Veena, G-suit he wore during his Su-30 MKI flight and numerous awards he received. Twelve walls have been utilized for murals and paintings. The entire area has been landscaped beautifully to reflect the peace and harmony aspect of Dr Kalam’s personality. The construction material and other accessories for the Memorial have been shipped to Rameswaram from many parts of India. The crafted front doors are from Thanjavur; stone claddings from Jaisalmer and Agra; stone pillars from Bengaluru; marbles from Karnataka and murals from Hyderabad, Shanti Niketan, Kolkata and Chennai to name a few.